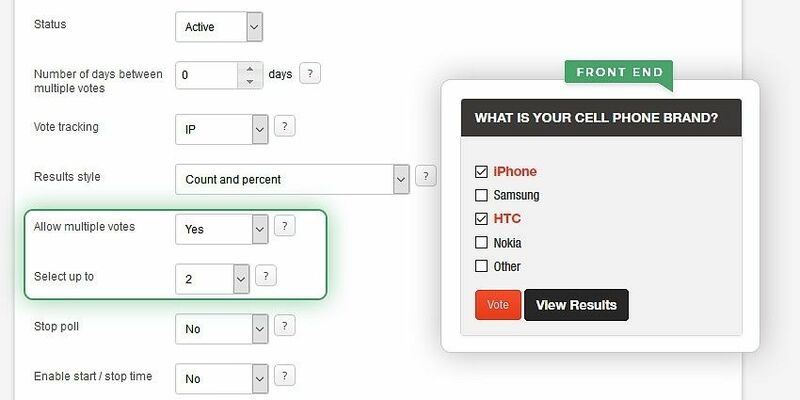 Use our online voting script to create online polls on your website. With a single Web Poll script installation, you can prepare and launch as many online polls as you wish. You have a bunch of color themes to choose from. Our PHP-based website poll allows users to customize and manage as many online polls as necessary. It's an easy way to find out what people think, like or don't like. With our online poll script, you can create multiple-choice polling questions containing both single or multiple possible answers, as per your requirements. Adjust the poll start and end time to launch and hide it in a future moment. 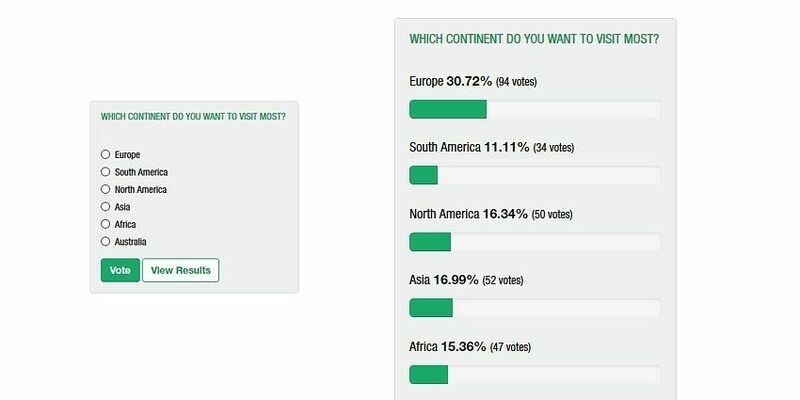 This ensures that the poll will be available within a user-defined period of time. 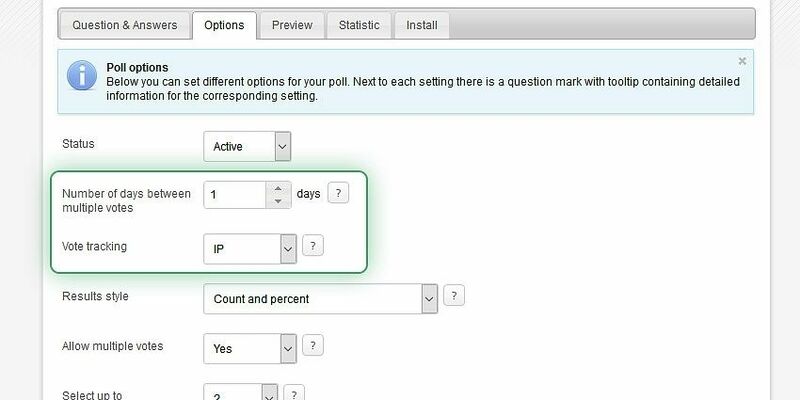 Review each poll's voting statistics including the total number of votes, votes for each day, number and percentage of the total votes for each of the optional answers, etc. 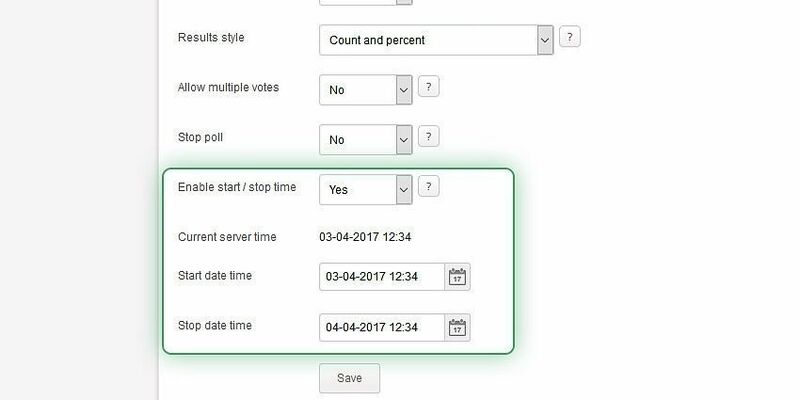 If you need to launch your polls in more than one language, you can easily translate the online voting script into any language, using the built-in language module. 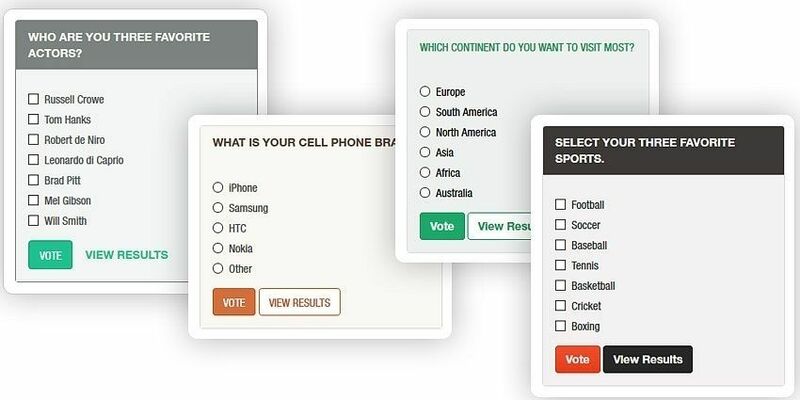 This Web Poll script uses IP tracking and cookies to track votes and prevent identical users from voting more than once and posting irrelevant content. No setup or transaction fees. Cancel anytime. We will help you integrate the web app into your website. Have your app in the cloud and access it anytime you need it! 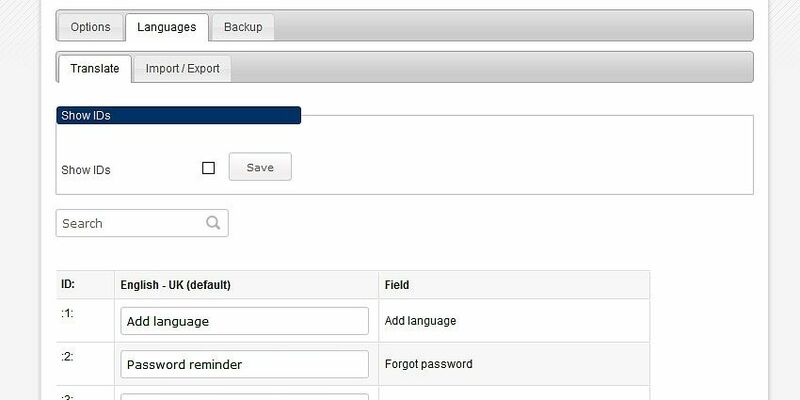 Our web apps are backed up daily to keep your data safe! Our friendly and professional support team is ready to assist you! We can deliver any kind of customizations to our web app so it meets your needs. No contract and no hidden fees!